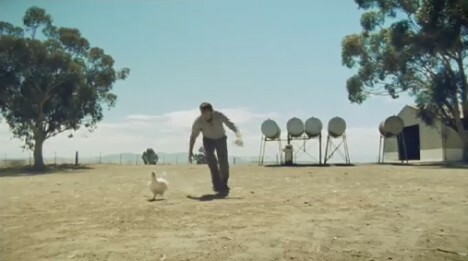 Sam Neill continues his Meat and Livestock Australia series on evolution and red meat with a futile attempt to catch a chicken. Neill talks about the higher level of nutrients found in red meat compared with chicken. I’m sure the chicken was happy to cooperate with the message! The MLA Red Meat Evolution campaign was developed at The Campaign Palace. Filming was shot by director David Denneen via Filmgraphics with producer Anna Fawcett.